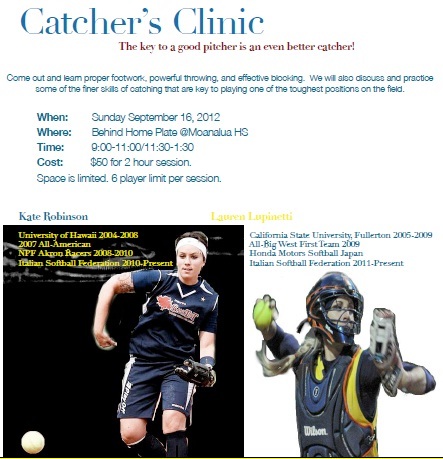 Come out and learn proper footwork, powerful throwing, and effective blocking with Kate Robinson and Lauren Lupinetti. $50 for a 2 hour session. Limit 6 catchers per session. For more information or to reserve your spot, download the flyer. I see all these clinics you’re putting on, when you coming up to the Vancouver BC area?